Compact design a short overall length of 138mm (5-7/16"). 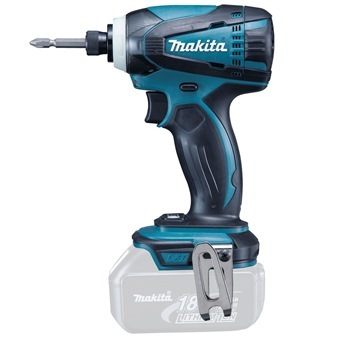 Max fastening torque: 160N.m (1,420 in.lbs). The power remaining in the battery can be indicated in 3 stages simply by pushing a button. No need to pull bit sleeve for bit installation. LED Job light with pre-glow and afterglow function.